The second stop on the great beer book tour: Mugs Ale House. Chosen because of its proximity to my apartment (despite how sunny it looks the day was actually freezing). 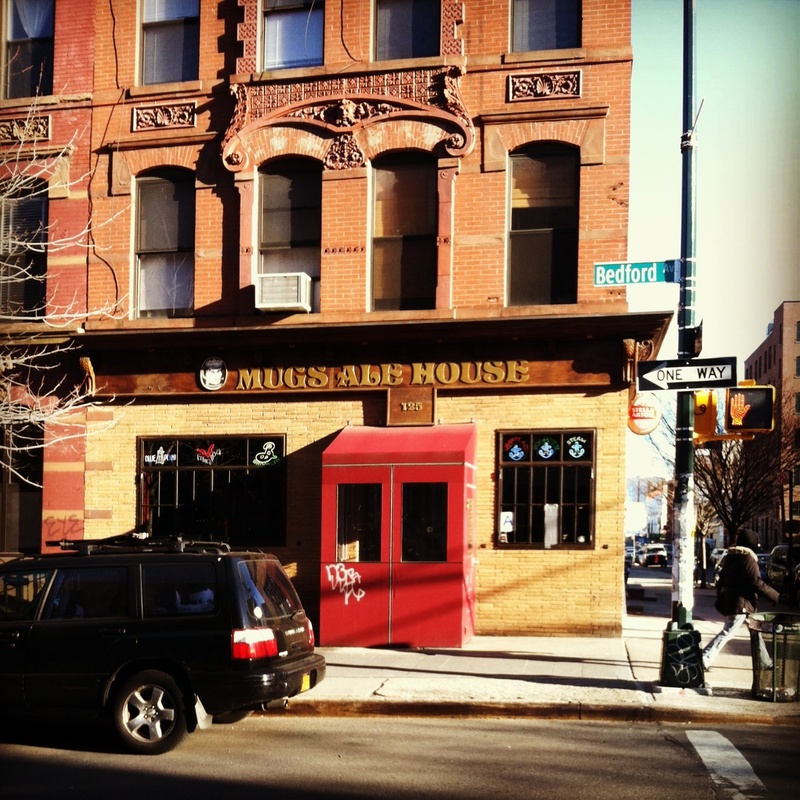 To be honest, Mugs is not one of my favorite establishments along Bedford (the Hipster main drag of Williamsburg). It is just your standard pub with the game blasting and your standard pub food. Good in a pinch, but nothing spectacular. I will say that it is a bit better for a larger group of people as many of the bars nearby tend to be pretty small with limited seating. I was thoroughly unadventurous in choosing a Brooklyn Brewery Lager (located within about three blocks of Mugs). It has become my go-to much as Yuengling was the standard in Pittsburgh. I love it, but I for future beer book adventuring, I am going to try to branch out. I would like to stick to Brooklyn or at least pretty local beers, but we shall see what happens. Mugs is a safe bet if you are in the area and looking for a place to duck in to watch a game.